Choosing a lawyer for your accident, serious injury, or wrongful death of a loved one is one of the most important decision you will have to make. At Joshua E. Palmer Law, we are proud of our reputation for excellent results. No matter the size of the case, we will give our all to fight for you. We are proud to serve Atlanta, Macon, Warner Robins, Savannah, Augusta, Columbus, and all of Georgia for your personal injury claims. After a collision or tragic accident, you will face a long road back to personal health and stability. You may have the right to substantial compensation — to cover medical bills, lost income, and other damages — but getting all you deserve will likely require representation by a skilled, experienced lawyer. Call today for a free consultation 478-733-8820. Joshua E. Palmer is the Managing Partner of Joshua E. Palmer, LLC. Josh was born in Macon, Georgia and raised in Warner Robins, Georgia. After graduating from Warner Robins High School, Josh earned his Bachelor of Arts degree in Criminal Justice from Valdosta State University. Josh then went on to pursue his law degree from North Carolina Central University in Durham, North Carolina. Before starting his own firm, Josh had the privilege of working for some of the top law firms in the country. Most notably, Josh worked for the Willie Gary Law Firm in Stuart, Florida. While there, Josh worked on many multi-million dollar cases. Additionally, Josh had the opportunity to represent some of your favorite celebrity clients in Atlanta when he was practicing entertainment law with the Weems Firm. Also, Josh worked for one of the largest personal injuries firms in Georgia, providing service to Atlanta, Macon, Savannah, Columbus, Agusta, Albany, Valdosta, and Athens. In high school, Josh Palmer was active in many organizations and sports. Most notably, Josh Palmer played middle linebacker for the 2005 Warner Robins State Championship football team. 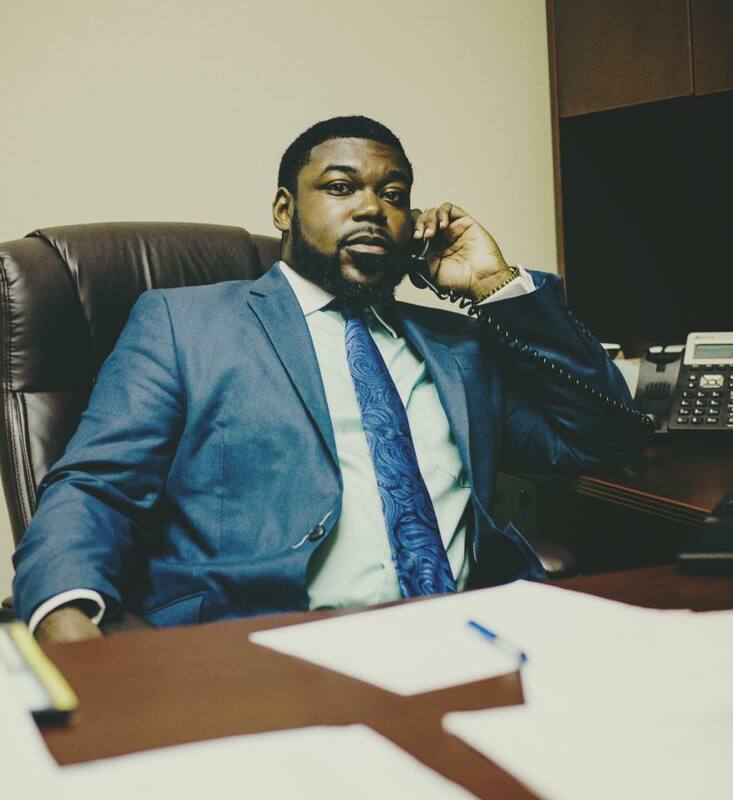 While attending NCCU Law School, Josh was active in its mock trial program. In fact, Josh’s team was the regional finalist in the AAJ Trial Competition, beating all surrounding law schools. Furthermore, Josh was an active member of the Black Lawyer Association. Today, Josh enjoys mentoring students and teaching them the tools for success. He often serves as a guest speaker for civic and church groups. Currently, Josh is a member of Fellowship Bible Baptist Church, NAACP, and Georgia Bar. Josh’s Mission is simple: FIGHT FOR THE PEOPLE. Often big corporations, companies, and insurance groups take advantage of a client’s lack of legal expertise. Josh’s only purpose is to make sure that the people have superior representation. No matter the size of the case, Josh will fight for justice. He devotes 100% of his practice to representing victims who have been injured by others’ negligence. Josh takes pride in treating all of his clients as family. He works hard to negotiate the best recovery for each client. Josh’s goal is to be the Best Lawyer in Georgia. Josh stresses the importance of treating his clients with dignity, compassion, and respect at all times.